Missions Boot Camp is a new program specifically designed for Deferred Mission Appointees (DMA) and Loma Linda University students interested in long term international service. It aims to prepare participants for leadership and medical ministry in Adventist mission hospitals. The 2019 program was conceived when Dr. Scott Nelson visited Dr. James Appel in Chad Africa in early 2018. These LLU graduates both had extensive experience working independent of each other in long term mission service on opposite sides of the globe. During this first time sharing these experiences with each other they realized the value in learning from each other and having a network of support to solve common issues. 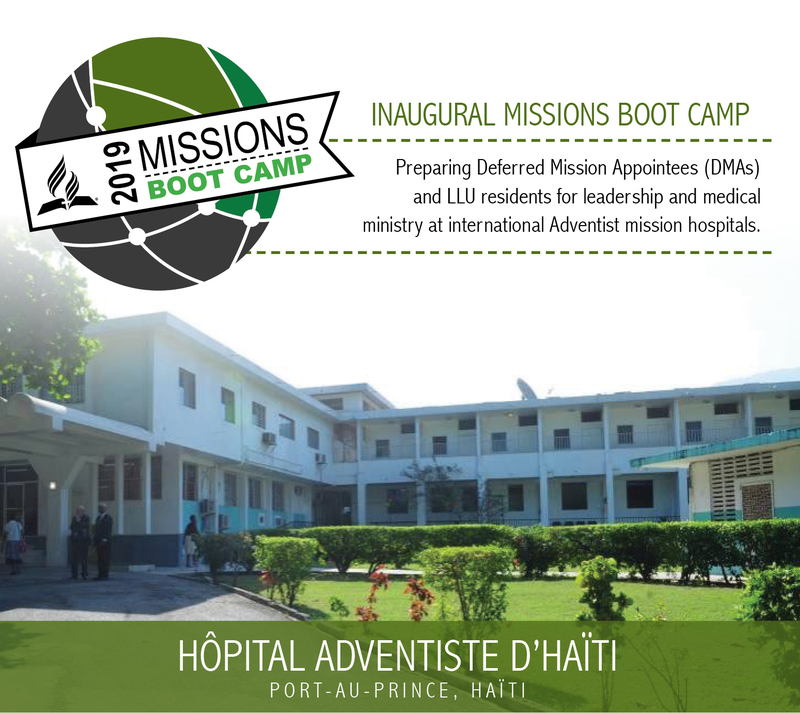 During the inaugural DMA boot camp Dr. James Appel and his wife, Dr. Sarah Appel, will be on site at Haiti Adventist Hospital to continue this exchange of ideas and give others a head start on what they have learned over a combined period of more than 25 years. The goals of the program are to equip participants with first-hand experience and provide training in a wide variety of domains essential to the successful operation of a mission hospital. Participants will develop important relationships with mentors and other students who have similar goals in life and face similar challenges.